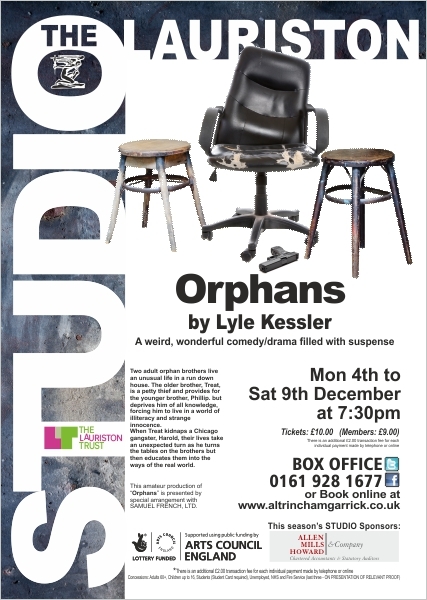 ORPHANS is, quite simply, a modern classic that’s sure to leave a lasting impression on those who see it. Lyle Kessler’s play is funny, thoughtful, touching and quietly compelling, and a five star script gets the five start treatment here. For me, this is one of the best productions the Garrick has ever done. 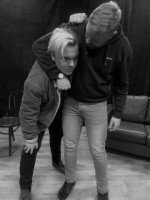 Treat, a violent pickpocket, is both mum and dad to his younger brother Philip, who he obsessively shields from an outside world he sees as teeming with dangers for him. Treat polices his every move and his every thought. He then suggests they kidnap a drunken Harold, a wealthy businessman he lures back to their run down house in Philadelphia. But Harold can buy and sell the pair of them. He’s clever, quick witted and has a first class degree in subtle manipulation and it soon become clear whose really in charge of the situation. I really enjoyed the way in which Kessler, with sublime subtlety, develops the relationship between Harold and Philip, the later trapped in an eternal childhood, thanks to the domineering and volatile Treat. Deep down both crave the love and stability of a family life. 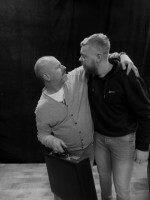 Under the direction of Julie Cunningham and Duncan Battman, Peter Brassington as Treat, Aidan Burgess as Philip and Stuart Tipping as the calm and cerebral Harold deliver the sort of performances that make you care deeply about their characters and inwardly ache for a happy ending. I first saw Orphans around 20 years ago and fell in love with this brilliant play then. If this isn’t a sell out it will be a travesty. ORPHANS grow up and can be affected by their upbringing.This is well illustrated in Lyle Kessler?s play Orphans at the Garrick? Lauriston Studio this week.The orphans in question are brothers Phillip and Treat. 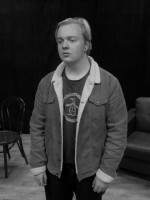 The most damaged of the two, Treat is outstandingly played by Peter Brassington who creates an unstable monster who spends his time aggressively robbing people. His brother, Phillip, (Aidan Burgess), is affected in a different way. Encouraged by his bullying brother, he never goes out for fear of catching a bug. 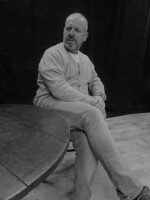 Then a third orphan, Harold, (Stuart Tipping) changes their lives completely and acts like a father figure to them. In a fine display of acting, the three completely different characters, react to one another yet are totally dependent on each other ? at least the brothers are. 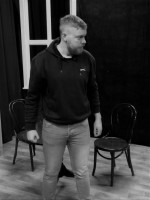 Peter gives an uninhibited display of uncontrolled anger which, in Act Two results in a fight between the siblings. This is because the timid Phillip suddenly gains courage thanks to the tutorship of Harold. Aidan Burgess cleverly transforms his character in response. Stuart Tipping?s Harold helps the boys in more ways than they can imagine by giving them tough love. This play mixes humour with tears. One of the funniest scenes is when the three of them re-enact an incident on a bus. The tears come at the end. Co-directors Julie Cunningham and Duncan Battman ensure it is the success it is. This amateur production of ‘Orphans’ is presented by special arrangement with SAMUEL FRENCH LTD.